Posted on January 31, 2014	by Michael A. Milton, Ph.D.
“So I sought for a man among them who would make a wall, and stand in the gap before Me on behalf of the land, that I should not destroy it; but I found no one” (Ezekiel 22:30). The Painting is by Joseph Mallord William Turner. It is called “The Hero of a Hundred Fights” (c.1800-10, reworked and exhibited 1847). It may be seen at Tate Gallery, London. 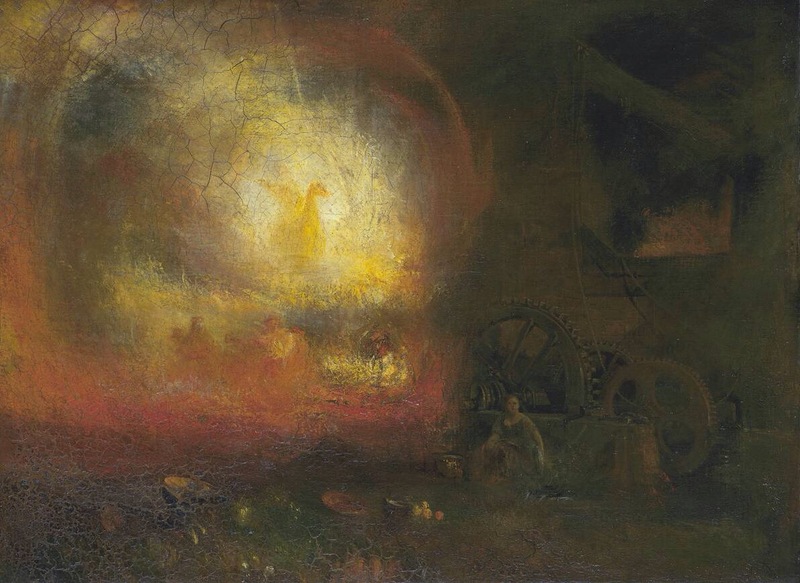 The scene is that of a foundry at work and the eye is drawn to the burst of light. The painting was first displayed next to a painting of Noah and created some commotion in the art world for distracting from Noah’s rainbow. Yet the foundry painting was done as Turner captured the image of the common men who worked at the “breaking away of the mould at the casting of M.C Wyatt’s bronze equestrian statue of the Duke of Wellington which had occurred in September 1845…” (Tate Gallery). There is always a need for an artist to look beneath the heroes that everyone sees to discover the heroes that few see and remind us of all of them. The storytellers and artists stand in the gap as well as the unseen heroes. There is also a need for men and women of prayer to stand in the gap. We see the Wellingtons of faith and can acknowledge them. Yet they who are faithful and true will quickly tell you that they are dependent upon the foundry of prayer where the casting of Providence is poured and the bright light of destiny is secured. They must have saints who will stand in the gap if they are to stand in the crowds. Only a fool would preach without prayer. How are you answering God’s call to stand in the gap for the Body of Christ today? This entry was posted in Bible, Biblical, Christian leadership and tagged Bible and culture, JMW Turner. Bookmark the permalink.